Chikungunya is a vector-borne viral disease spread by mosquitoes that is migrating from Africa to other parts of the world. It was first observed in the West Indies in October 2013 and is estimated to have caused something in excess of 100,000 cases in the islands. In February, The Public Health Agency of Canada issued a travel health notice saying cases had been confirmed in the Caribbean Islands of Saint Martin, Dominica, Guadaloupe, Martinique, Saint-Barthelemy and the British Virgin Islands — all popular vacation spots for Canadians and Americans, and with the area’s high level of tourism, the virus had many opportunities to quickly spread to other locations. CBS News reported this week that Chikungunya cases have now been confirmed in 15 states, including New York, according to the U.S. Centers for Disease Control and Prevention (CDC), with 25 cases reported in Florida alone. UTMB researchers have been monitoring the spread of Chikungunya virus for some time, and note in a release that scientists have long known that the process they call “viral emergence” involves a wide variety of factors. Some are changes in the environment, either generated by natural causes or human activity. Others are internal, arising from accidental changes — mutations — in the virus’s genetic code. A UTMB team previously found that a recently emerged lineage strain of the chikungunya virus has adapted itself to be hosted by not only the Aedes aegypti mosquito that lives mainly in the tropics but also to the Asian tiger mosquito, A. albopictus, which can currently be found on all continents except Antarctica. This mutation in the Indian Ocean lineage occurred through a single adaptive change in the virus’ genetic code that alters one protein in the envelope surrounding the virus. The team’s newest investigation analyzed recent events in Chikungunya virus evolution that will aid in predicting future trends in transmission and circulation that determine epidemic potential. 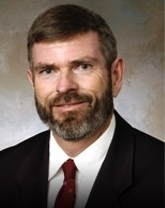 UTMB professor Scott Weaver, lead author of a paper on the disease that will be published in Nature Communications and his colleagues found that the initial adaption provided the framework for a second wave of adaptations that can enable rapid diversification of viral strains and even more efficient transmission to people. In addition, analysis of the Chikungunya virus strain expressing a combination of the second-wave adaptive mutations revealed a similar pattern of changes and heightened adaptive qualities suggesting the future emergence of even higher transmission efficiency. 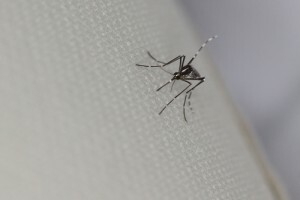 According to the Centers for Disease Control and Prevention (CDC), Chikungunya (Pronunciation: “chik-en-gun-ye”) is a viral disease transmitted to humans by the bite of mosquitoes that become infected when they feed on a person infected with Chikungunya virus. Infected mosquitoes can then spread the virus to other humans when they bite. Monkeys, and possibly other wild animals, may also serve as reservoirs of the virus. The Chikungunya virus is a member of the genus Alphavirus, in the family Togaviridae. Chikungunya fever can cause debilitating illness, most often characterized by fever, headache, fatigue, nausea, vomiting, muscle pain, rash, and joint pain. The term ‘Chikungunya’ means ‘that which bends up’ in the Kimakonde language of Mozambique. Acute Chikungunya fever typically lasts a few days to a few weeks, but as with West Nile Virus fever — now well-established in North America, and dengue fever — another tropical disease expected to become problematical here soon, as well as other arboviral fevers, some patients have prolonged fatigue lasting several weeks. Additionally, some Chikungunya patients have reported incapacitating joint pain, or arthritis which may last for weeks or months. According to the CDC, 72 percent to 97 percent of infected people experience symptoms — far higher proportions than is true of West Nile virus and dengue. The prolonged joint pain associated with Chikungunya virus is not typical of dengue. No hemorrhagic cases related to Chikungunya virus infection have been conclusively documented in the scientific literature. Co-circulation of dengue fever in many areas may mean that Chikungunya fever cases are sometimes clinically misdiagnosed as dengue infections, therefore the incidence of Chikungunya fever could be much higher than what has been previously reported. The CDC says Chikungunya’s incubation period can be 2-12 days, but is usually 3-7 days. “Silent” Chikungunya virus infections (infections without illness) do occur, but how commonly this happens is not yet known. Chikungunya virus infection (whether clinically apparent or silent) is thought to confer life-long immunity. Pregnant women can become infected with Chikungunya virus during all stages of pregnancy and have symptoms similar to other individuals. Most infections occurring during pregnancy will not result in the virus being transmitted to the fetus. The highest risk for infection of the fetus/child occurs when a woman has virus in her blood (viremic) at the time of delivery. There are also rare reports of first trimester abortions occurring after Chikungunya infection. Pregnant women should take precautions to avoid mosquito bites. Currently, there is no evidence that the virus is transmitted through breast milk. A key factor in a virus’s potential to sustain its circulation and ultimately cause disease is its ability to adapt to new host environments. The number and complexity of these adaptations is shaped by how hospitable the new host is to a certain virus. There is no vaccine or specific antiviral treatment currently available for Chikungunya fever. Treatment is symptomatic and can include rest, fluids, and medicines to relieve symptoms of fever and aching such as ibuprofen, naproxen, acetaminophen, or paracetamol. The CDC says aspirin (ASA) should be avoided. The disease is not usually fatal. Since 2005, 1 in 1,000 chikungunya virus infections has resulted in death. The UTMB researchers have concluded that the Indian Ocean lineage of Chikungunya virus that has spread to the Indian Ocean Basin, Southeast Asia, Oceania and Europe continues to mutate and adapt to develop higher efficiency for transmission by the Asian tiger mosquito. “Although a different chikungunya virus strain from the Asian lineage is now circulating in the Americas, the introduction of the Indian Ocean lineage could put temperate regions where A. albopictus thrives at risk for expansion of epidemic circulation,” Dr. Weaver cautions. Other authors of UTMB team’s Nature Communications. paper include Konstantin A. Tsetsarkin, Rubing Chen, Ruimei Yun, Shannan L. Rossi, Kenneth S. Plante, Mathilde Guerbois, Naomi Forrester, Grace Leal and Jing Huang from UTMB; Guey Chuen Perng from Emory University School of Medicine and the National Cheng Kung University in Taiwan; Easwaran Sreekumar from the Rajiv Gandhi Centre for Biotechnology in India; and Suchetana Mukhopadhyay from Indiana University. This research was supported by the National Institutes of Health and the Department of Biotechnology of the Indian Government.